You searched for all products matching "ventura"
Simple Self-Mount Peel & Stick Professional 4x5 or 5x4 5 Page ( 10 Sides ) Wedding Photo Album; Simulated Leather Library-Bound Quality Wedding or Parent Book; Available in 2 Colors: Black and Distressed Brown. 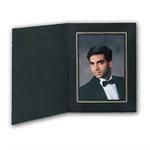 Simple Self-Mount Peel & Stick Professional 4x6 or 6x4 10 Page ( 20 Sides ) Wedding Photo Album; Simulated Leather Library-Bound Quality Wedding or Parent Book; Available in 2 Colors: Black and Distressed Brown. Simple Self-Mount Peel & Stick Professional 5x5 Square Photo 10 Page ( 20 Sides ) Wedding Photo Albums; Simulated Leather Library-Bound Quality Wedding or Parent Book; Available in 2 Colors: Black and Distressed Brown. Renaissance Self-Mount 10 Page ( 20 Sides ) and 15 Page ( 30 Sides) Album; Available in 2 Photo Sizes: 5x7 & 7x5; Bonded Leather Cover; Bound Construction; Each Easy-to-Load Photo Page has Pressure Sensitive Adhesive to Hold Prints. Renaissance Self-Mount 10 Page ( 20 Sides ) , 15 Page ( 30 Sides), and 20 Page ( 40 Sides) Album; Available in 8x10 Vertical; Bonded Leather Cover; Bound Construction; Each Easy-to-Load Photo Page has Pressure Sensitive Adhesive to Hold Prints. Renaissance Self-Mount 10 Page ( 20 Sides ) , 15 Page ( 30 Sides), and 20 Page ( 40 Sides) Album; Available in 11x14 Vertical; Bonded Leather Cover; Bound Construction; Each Easy-to-Load Photo Page has Pressure Sensitive Adhesive to Hold Prints. Renaissance Self-Mount 10 Page ( 20 Sides ) , 15 Page ( 30 Sides), and 20 Page ( 40 Sides) Album; Available in 10x10 Square; Bonded Leather Cover; Bound Construction; Each Easy-to-Load Photo Page has Pressure Sensitive Adhesive to Hold Prints. Renaissance Self-Mount 10 Page ( 20 Sides ) , 15 Page ( 30 Sides), and 20 Page ( 40 Sides) Album; Available in 8x8 Square; Bonded Leather Cover; Bound Construction; Each Easy-to-Load Photo Page has Pressure Sensitive Adhesive to Hold Prints. Renaissance Self-Mount 10 Page ( 20 Sides ) , 15 Page ( 30 Sides), and 20 Page ( 40 Sides) Album; Available in 12x12 Square; Bonded Leather Cover; Bound Construction; Each Easy-to-Load Photo Page has Pressure Sensitive Adhesive to Hold Prints. When using the Search Tool please make sure to spell the item's name correctly in the Search box for accurate results. Thank you.